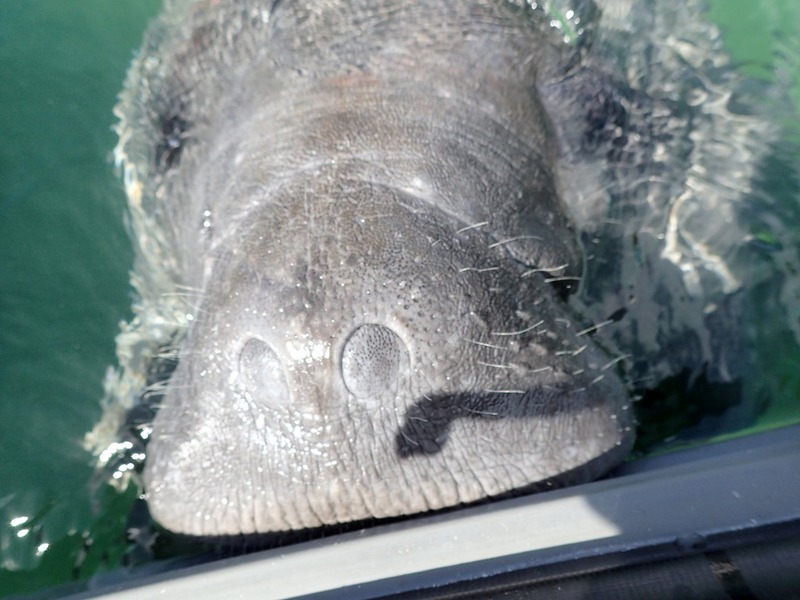 After tying up at the Lighthouse Marina dock on my way to do laundry, I looked down at the dinghy and saw the manatee coming up to greet it. 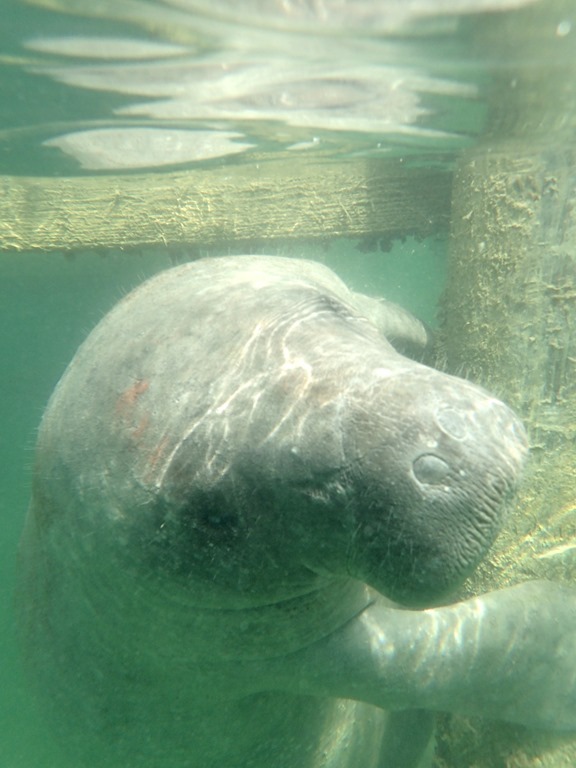 This manatee is now one of three living in Hope Town harbor. 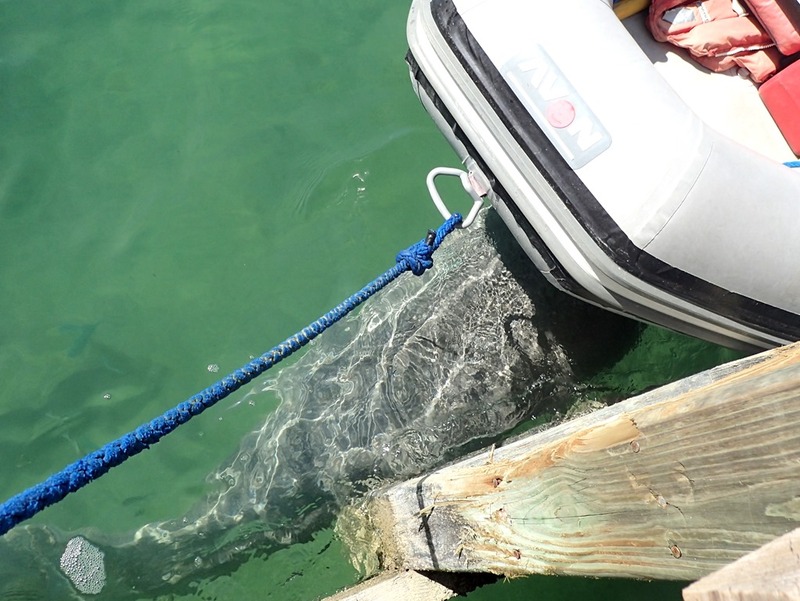 Our gray dinghy has always been a favorite of his. 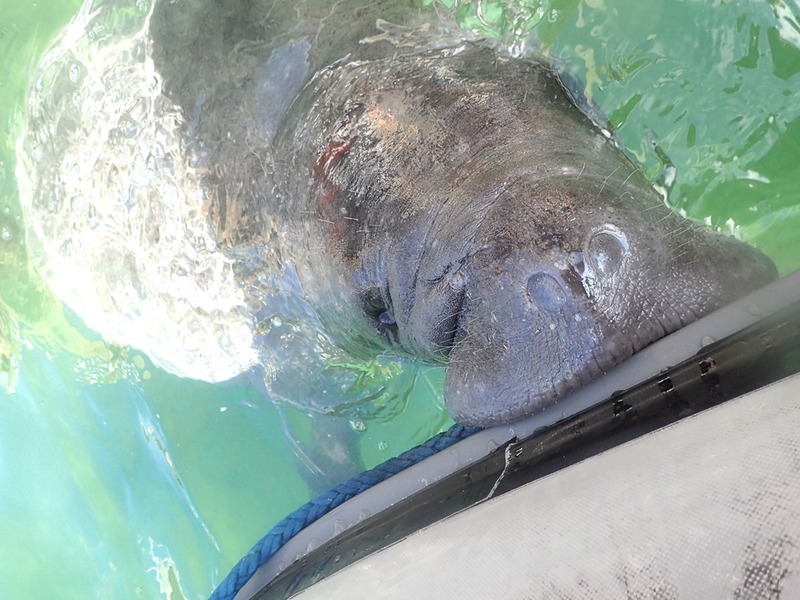 The manatee is interested in the bits of sealife that attach to and grow on our dinghy. His mouth gloomed onto to the rubrail immediately. 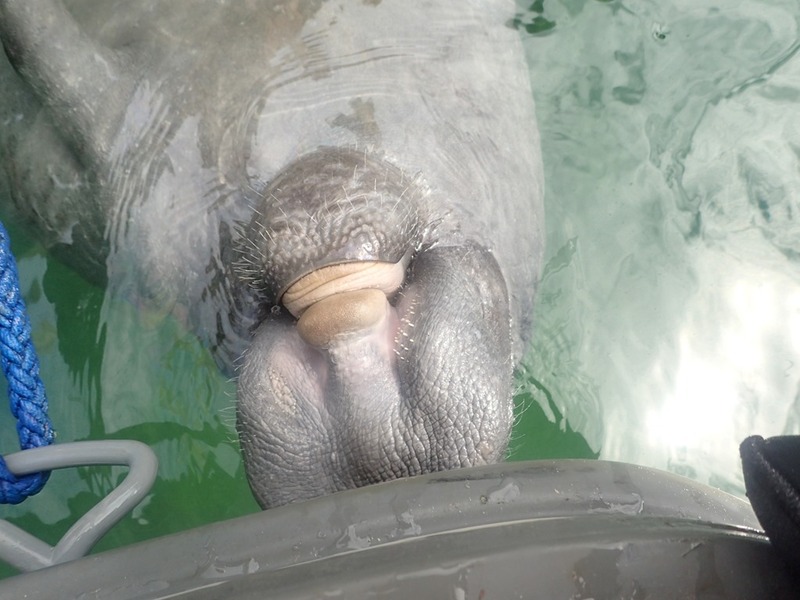 But often he curls his flipper around the pontoon and munches his way alongside its length. And it somehow seems more friendly than just a bit of food. 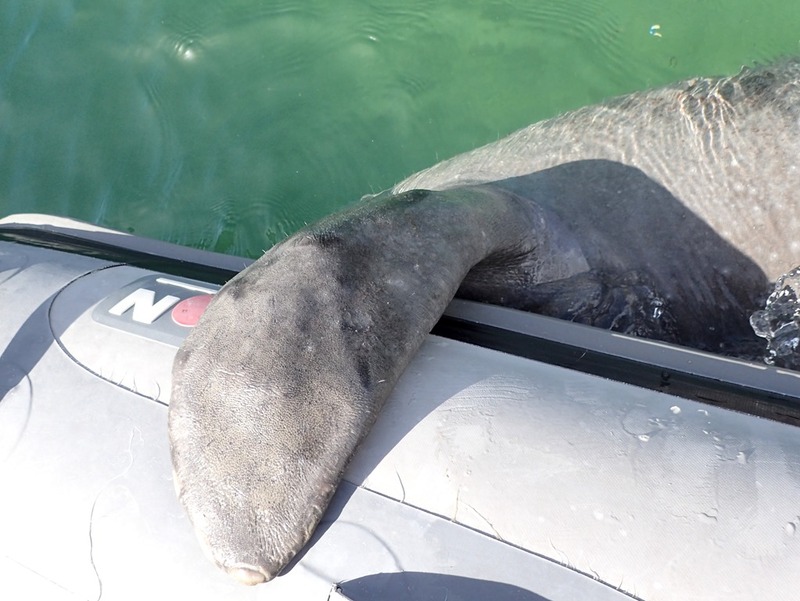 The manatee seems to find comfort in this close embrace of our dinghy. Is this not a face only a mother could love? 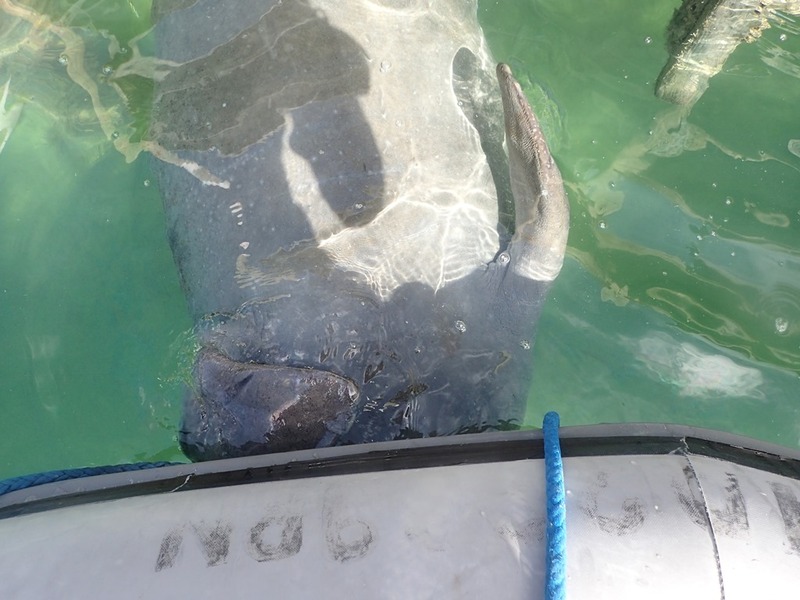 He spent some time with our dinghy. 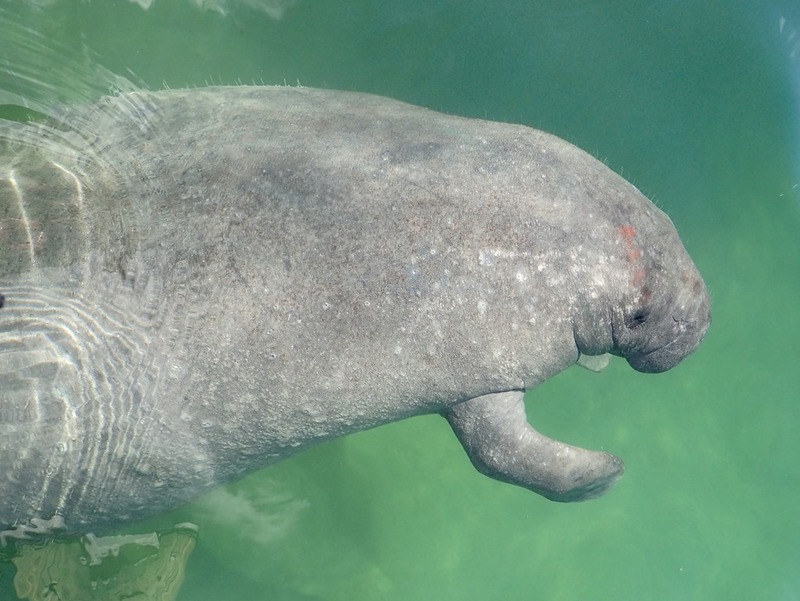 Here he is swimming upside down, underneath it. 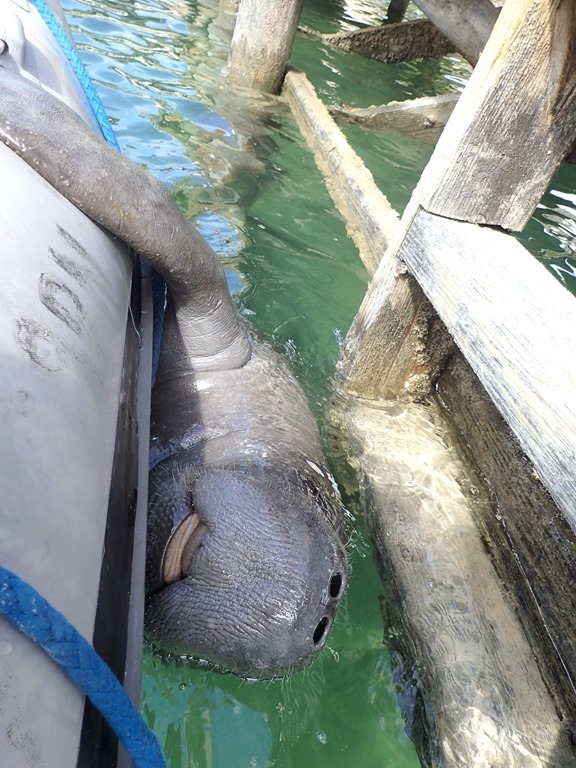 He was also partial to this piling which holds up the dock at the marina – curling himself around it. A pole dancer of sorts, performing for us. So interesting – and friendly. 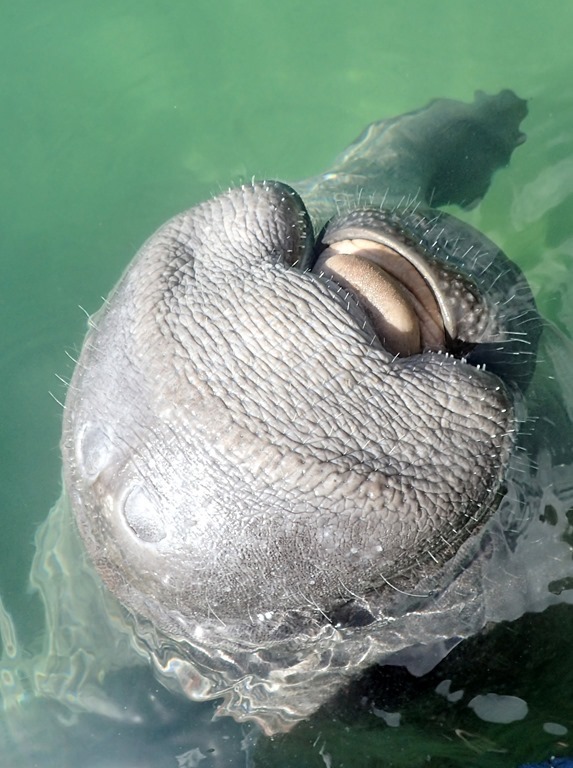 Happy to have me rub his head, back and tummy – even his flipper. Finally, swimming off. Bye-bye. Time for me to do the laundry. P.S. UPDATE: Power was restored to most of Hope Town Tuesday morning, although there have been subsequent intermittent outages. But for the folks to the south of us, on Tilloo Cay and in the south Lubbers area, this ominous note was posted: “BEC found a bad piece of cable and needs to repair it. 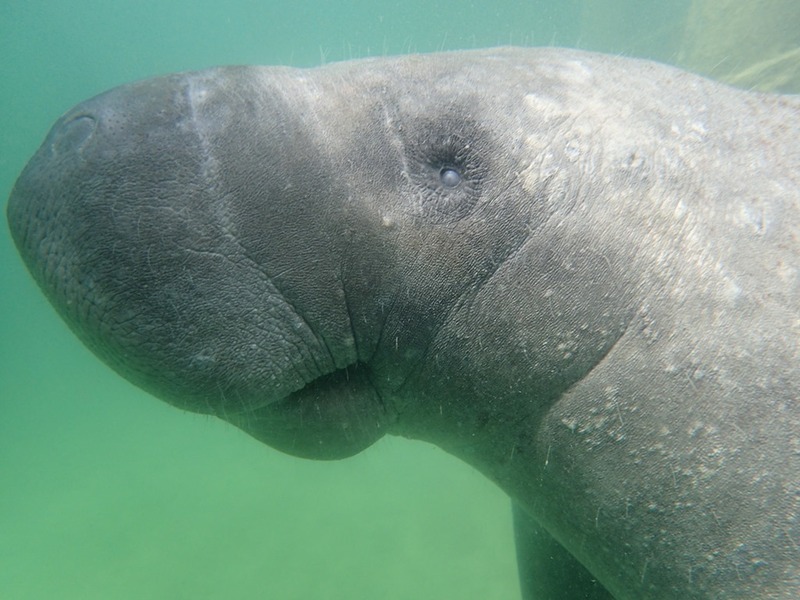 For safety reasons, they want to bring in a 2nd diver tomorrow morning because of bull sharks in the area.” So…..we are all wondering what the job of the 2nd diver is? 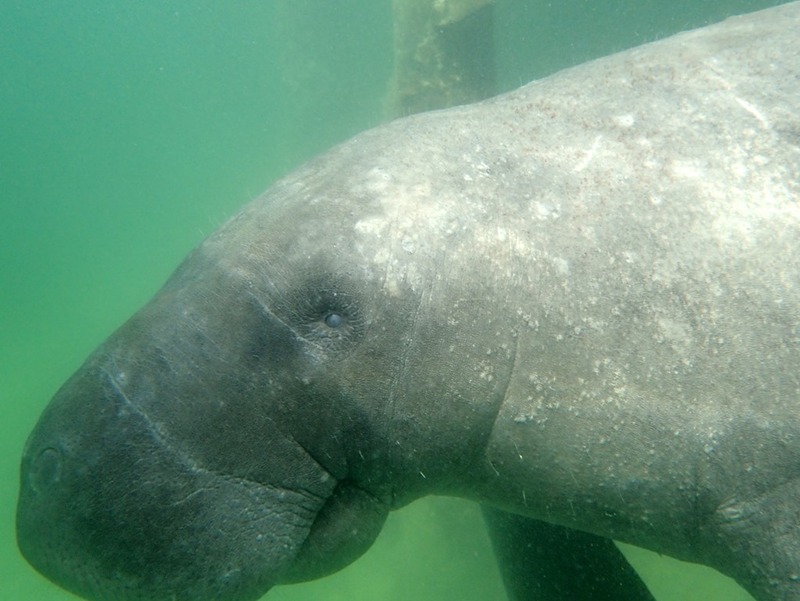 Be a look-out for the 1st diver? Be a sacrificial diver? Carry a sledge hammer? ??? Great pics! So nice to have a personal dinghy cleaner upper at no charge. Awesome pictures! We enjoyed them! Thanks to all. Fun little encounter.